Troy and I love to exercise. 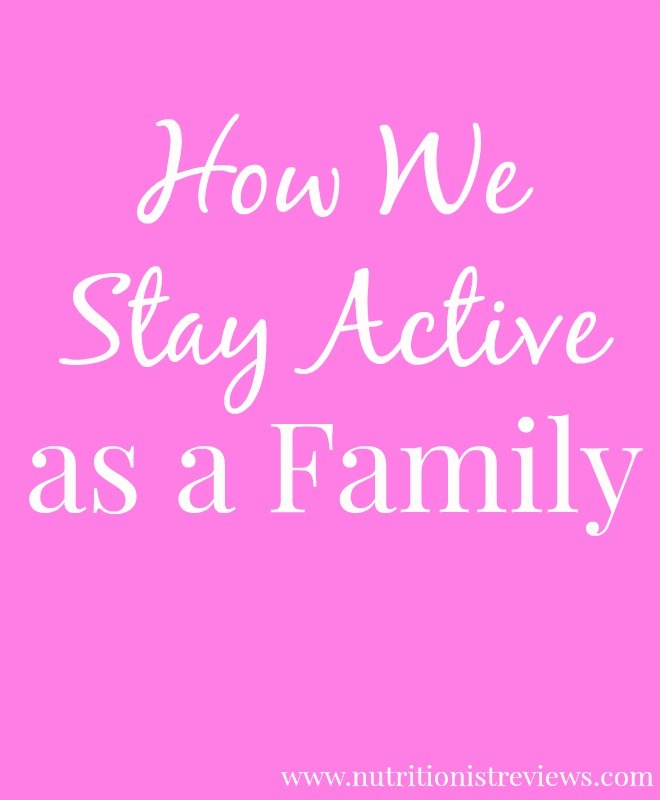 We often exercise on our own but also try to be active all together as a family. 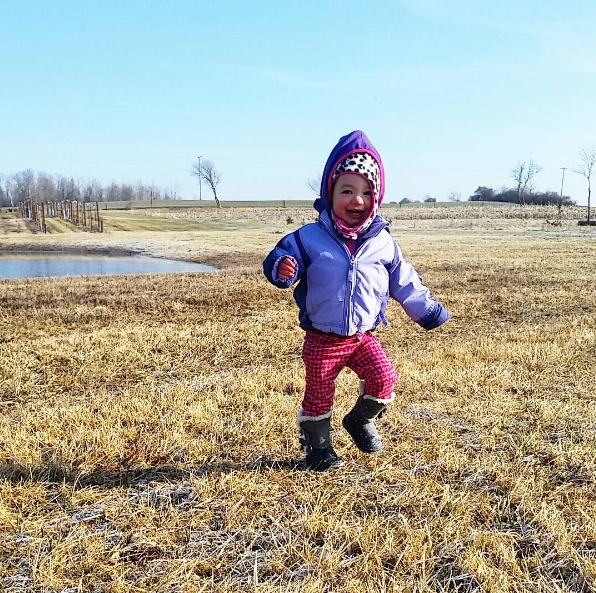 We want Adalyn to grow up knowing that physical activity is important and also fun. I want it to be part of our lifestyle, not a chore that we have to do. We do not exercise to get "skinny" or anything like that but to feel good and to be healthy. This year, we are focusing on teaching our daughter how to be healthy! I am very cautious of what I say around Adalyn about weight. I once read a statistic that quite a high number of young girls go on their first diet by age 8 or 9. How awful! I want to help my daughter avoid insecurities as much as possible. I don't want her to see me looking in the mirror saying "my belly is fat today" or something like that. I want for her to learn to love her body and to be active because it is fun and feels good. When I was a teenager, I struggled with body issues. It is something that I know that most girls go through and I know that Adalyn will most likely come across a lot of this growing up from other people. Therefore, we focus on living healthy lifestyles including eating well (usually) and exercising. 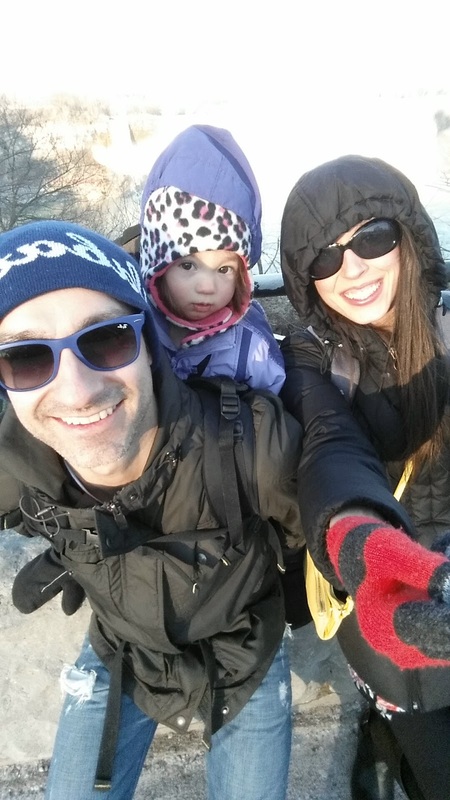 When the weather is warm, we love to go on family walks. We do this almost every night or afternoon after work. We love to walk around our neighborhood and talk about our days. This is one of my favorite things to do together! We are lucky to have a couple of playgrounds nearby that we can go to and let Adalyn run around at. We walk around with her, push her on the swings, help her up and down the slides, etc. It is fun for us all. We live in the city that I grew up in so it is pretty awesome having Adalyn play where I did when I was little! One of the ways that we teach Adalyn that physical activity is important is by letting her see us do it. I lifted a kettle bell in front of her before when she was playing and you know what she did when I put it down? She went and picked it up and lifted it just like I did! I want to be a healthy example for Adalyn and this made me so proud. Also, we have a bunch of her toys in the basement and are trying to let her do more independent play so when she is doing that, sometimes I walk on the treadmill. When I get off the treadmill, she goes and stands on it and pretends to walk. Monkey see, monkey do! At 18 months old, Adalyn is very active. In the evenings, we love playing around the house. We toss her in the air, tickle her, etc. Our walks usually consist of her being in the stroller but sometimes, we just have her walk on her own (holding our hands) and we go wherever she wants to. We usually only make it a couple of blocks but it is fun for her to see a change of scenery besides being inside all the time. This Rainbow Veggie Flatbread Pizza- yep, Adalyn ate this too! No special toddler meals around here. The same "monkey see, monkey do" idea goes along with eating well. I want Adalyn to want to eat lots of fruits and vegetables so she has to see me doing this as well. If I eat chips in front of her, she wants chips too of course. We believe in eating well most of the time with treats some of the time. We always have produce for each meal and eat together as a family because I think this is so important. Along with eating well, Troy and I take a daily multivitamin. I like the prenatal vitamin + DHA by Nature Made which you can buy at Walmart. I like to make sure that I get enough omega-3 each day because it is such an important nutrient and I am not the best at eating foods like fish which are rich in omega-3. Walmart has lots of Nature Made vitamins available for an affordable price. Sign up for the Nature Made Daily Boost Program for information that can help you reach your health goals. You can also get ideas of what other Nature Made fans are doing to help meet their health goals. Influence Central is hosting a contest where you can win one of 20 $50 Walmart gift cards! The contest is open now through 4/26/16.